Howard Sounes has already written revelatory biographies of Bob Dylan and Paul McCartney. Most recently he’s turned his attention to Lou Reed. 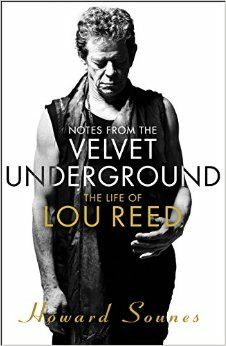 In Notes from the Velvet Underground he recounts the extraordinary life and career of one of rock’s most memorably irascible characters, someone who occasionally pulled a gun on even close friends and allies. He talked to David Hepworth about it in front of an audience at the Islington. WTF was that all about? Sounded like two grumpy old men talking about another grumpy old man that neither of them particularly liked. A bit of balance would’ve been nice, maybe something about the masterpiece that is the third VU album or Lou’s wonderful “New York” album.